Employee retention refers to the efforts on the part of an employer aimed at creating an environment that supports the needs of current employees so that they can continue to be part of an organizationTypes of OrganizationsThis article on the different types of organizations explore the various categories that organizational structures can fall into. Organizational structures. Most employee retention programs and policies are aimed at addressing different employee needs to enhance their satisfaction. In other words, an employee retention program should be able to improve and incentivize the different aspects of employee engagement in the workplace. Other than paying competitive salariesRemunerationRemuneration is any type of compensation or payment that an individual or employee receives as payment for their services or the work that they do for an organization or company. It includes whatever base salary an employee receives, along with other types of payment that accrue during the course of their work, which, which is a crucial aspect of employee retention, other essential strategies can help retain top talent in the workplace for a long time. Employers who invest in their workforce through the provision of opportunities to acquire new skills signal an essential investment in the current and future career growth of employees. Many employees tend to feel that satisfaction with their work environment is based on the availability of an opportunity to develop their careers. Opportunities for growth can include workshops and conferences paid for by the employer. In other cases, employers offer reimbursement to employees who take a study leave or those who attend part-time classes. An organization can also arrange in-house learning and development programs to mentor employees. Where there are no clearly defined job descriptions, organizational policies, or work performance metricsKey Performance Indicators (KPIs)Key Performance Indicators (KPIs) are measures used to periodically track and evaluate the performance of a business or organization toward the achievement of specific goals. They are also used to gauge the overall performance of the company against other similar companies within the industry., employees tend to feel frustrated. Dissatisfaction can erode morale, leading employees to seek opportunities elsewhere. However, a simple remedy, in this case, is to establish a clear line of communicationCommunicationBeing able to communicate effectively is one of the most important life skills to learn. Communication is defined as transferring information to produce greater understanding. It can be done vocally (through verbal exchanges), through written media (books, websites, and magazines), visually (using graphs, charts, and maps) or non-verbally and ensure all employees understand their roles in the organization. Also, employees should be provided with regular feedback whenever there is a scheduled evaluation, so they know which areas require improvement. Also, an organizational should apply policies fairly so that no single employee will feel victimized. A benefits package includes affordable and quality health insurance, life insurance, enough vacation and sick leave, retirement plan, as well as family leave. On top of the primary benefits, an organization needs to think about how best to serve employee needs. Stock options, flexible scheduling, as well as other incentives such as child care, fitness coaching, and gym membership are some significant benefits that can boost the morale of employees. A company’s HR department should solicit feedback from their employees to understand the benefits and incentives that will help improve their welfare. In addition, an organization needs to consider customizable options to cater to the needs of different demographics. For example, millennials and boomers are not motivated in the same manner. Employee moraleEmployee MoraleEmployee morale is defined as the overall satisfaction, outlook, and feelings of well-being that an employee holds in the workplace. In other words, it referrs to how satisfied employees feel about their work environment. Employee morale is important for many businesses due to its direct effect on increases where they are given the freedom to speak freely. That way, employees can share their thoughts and ideas, deal with conflicts, and take part in organizational development. A company needs to ensure managers encourage transparent, respectful, and open communication. Open communication is beneficial to an organization because it promotes trust. Once employees feel they can communicate freely about workplace-related issues, their satisfaction levels will grow. Employees play a considerable role in uplifting a company’s bottom line. Thus, it is essential to make them feel appreciated and respected. Treating all employees in a reasonable manner is one way to go about it. Furthermore, when employees perform well in their roles, they should be acknowledged and encouraged to carry on doing a good job. Although a simple thank you is the first step, an organization should include other significant forms of appreciation such as raises, bonuses, paid time off work, or even promotions. Where a manager is not specific what to reward an employee with, it is always good to ask. No amount of benefits can make up for chronic burnout. Overworked employees tend to lose focus, which leads them to perform poorly. Employees prefer to work in an environment where they are not overworked all the time. Thus, every organization needs to ensure that no team member does more that is necessary. Instead, employees should be encouraged to embrace a healthy work-life balance and workload. It is the job of managers to promote healthy habits in their employees so that they are comfortable in performing their duties. When employees work for a reasonable number of hours, they tend to stress less, which translates to better productivity. Exceptional employees are the reason many organizations are able to build and maintain a good reputation. For that reason, such employees need to be provided with a reason to stay. 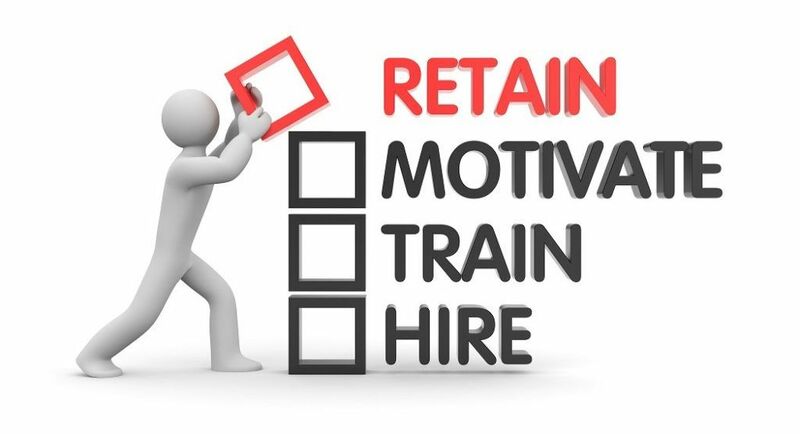 Employee retention is one way to ensure that an organization does not lose valuable employees. Employees love to work in an environment that treats them with integrity, and where their needs, goals, and lives are respected. An organization that puts such factors before everything else can boast of the most satisfied employees!